If you can say something about Kairosoft's Android games, then that you can buy them without worry. I played Game Dev Story and Hot Spring Manager (Onsen ftw! ), and they're making so much fun. And now there is another title. Pocket League Story puts you in charge of a soccer team. It's neutral, but the flair of the great J-League is everywhere. You can select and train players, and manage the whole team to be successful with your team. Win matches, while using the best strategy. You'll stuck at the bench and watch the things happen on the field. Just like a real soccer manager. The graphic is cute, like all Kairosoft games. The typical Japanese style that I love so much. Please note that the title is available in full English! 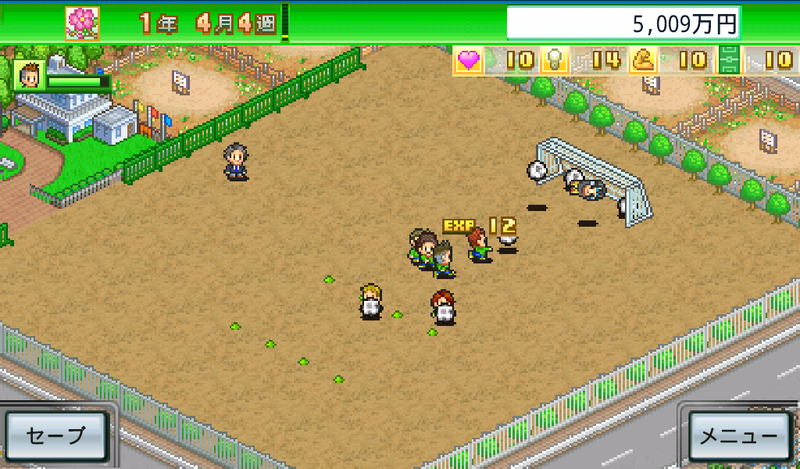 The screenshot from above is from the free Lite-Version which is only availanle in Japanese. The full version is available in English, too.